Hedgehog Fibres was introduced to us by two of our studio staff members. They traveled to Europe at different times and both came back with brilliantly colored and squishy hanks of sock yarn. When they displayed their souvenirs we all reached to touch and ooohed over the colors. 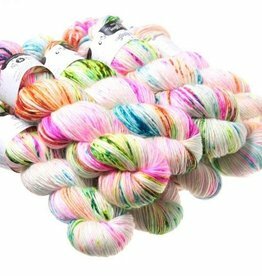 We contacted Beata Jezek to find about carrying Hedgehog Fibres Skinny Singles because the Stephen West Doodler Knit along had just started. 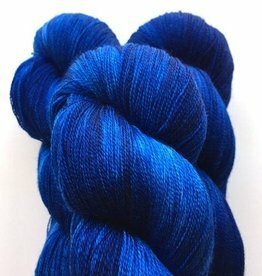 We have added the Kidsilk Lace, Merino lace and Sock yarn bases. 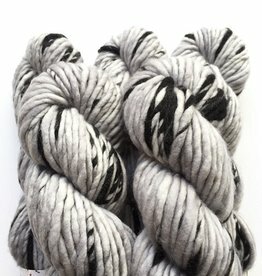 We are delighted to be carrying her line and will be slowly expanding the yarn base collection.